The 2017 Subbuteo Italy Cup was staged in the splendid historic location of La Brilla (http://www.labrilla.eu) in Massaciuccoli, using traditional materials. The event, organized by Seagulls Club of Viareggio, has achieved a tremendous success and saw the participation of 32 teams and 110 individual players. 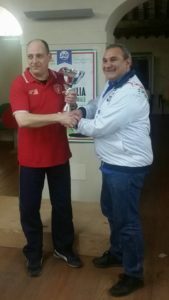 On Saturday in the individual competition, Giuseppe Ogno of Perugia TS (the club born after the closure of the historic club of the ACS Perugia) was the winner. In the final, the white and red player won the derby, with the club mate, Pierluigi Signoretti, 2-1. The semifinalists were the two Livorno players, Stefano Cafaggi and Michele Giudice, who are real specialists of the category. In team competition, the victory went to Black & Blue Pisa. 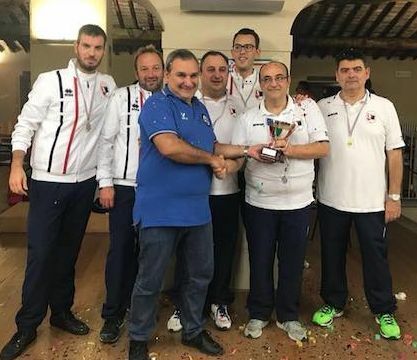 The Tuscans, reinforced with the arrival of Stefano De Francesco and Francesco Mattiangeli, beat Perugia TS 2-0 in a great final, on the back of decisive wins by Daniele Bertelli and Mauro Manganello. In the semifinal they beat Livorno and Pierce 14 respectively. Black Rose Roma 1 – 2 Pierce 14 Cas.